I had little credit card debit during college and was actually very fugal. My parents get the credit for that, as they taught me early on to appreciate the value of a dollar. After college, however, I moved from the central valley to San Diego and the wheels fell off the cart. I started using credit cards to help make ends meet. The credit cards were addicting, and eventually, I was using them to fund a lifestyle well above what I could afford. I went out with friends nightly, traveled, and got expensive new hobbies. . . all on plastic. I remember one truly low point, when I received a new credit card in the mail with a $5,000 limit, and maxed it out buying accessories for my truck the same day. Astonishing? Irresponsible? Probably even more so if you knew that my truck was barely worth that much before I bolted on all of the new “make-up”. I got to the point that I was paying only the minimums each month on all six of my credit cards. I was never late on a payment, but I was also sinking further and further in debt. As my relationship with my girlfriend was developing, and it was obvious that marriage was in our future, I had to share with her my terrible secret – I was bringing over $30,000 worth of debt into our relationship, and no plan of how to pay it off. I must be better looking than I thought because she stuck around, and has been extremely supportive and understanding. As of today, my credit card debt is only $3,475.38, and dropping at an amazing rate. As weird as it sounds, I actually enjoy making credit card payment now because I love seeing the balance whittle towards zero. Cut up all credit cards – Not for 1MansMoney because we do not have an emergency fund yet. Pay off the small balances first (for a sense of achievement), then attack larger card balances – Not for 1MansMoney because I can do math and know that you want to pay the higher interest rate cards first, regardless of the balance size. Debt consolidation – Not for 1MansMoney because there are too many debt consolidation horror stories. Store credit cards in the freezer to eliminate impulse purchases (the cards supposedly can’t be swiped for a few hours after freezing) – Not for 1MansMoney because this gimmick wouldn’t stop me from purchasing online. * NOTE: As you can see in the balance column, some charges were made to the card from time-to-time. Hey, nobody is perfect. Sacrifice, sacrifice, sacrifice. It’s worth it to get out of the strangle hold of debt and start building your net worth. Wonderful story. Just like charging cc cards are addictive , so can paying them can be habitual. Same as investing money, it’s good to see your balance grow. Indeed, Moneymonk. I’m looking forward to the accumulation period now. Great Info; too many people end up in this predicament. Now, there’s an alternative to the debt consolidation services which is an incredible option for borrowers – Prosper.com. I routinely lend to people through the system that have say, 30% credit card debt and can’t roll over into new cards any more. They end up with one big loan of up to 25K at a much lower rate, usually in the mid-teens if they have a decent credit history. I’ve posted some research and links for anyone interested at everydayfinance. Congrats on front page at the Carnival of Finance! Thank you for the comments; I’m glad you enjoyed the post. Looking back, it’s hard to imagine what I was thinking during all of that credit card charging. Never again. We all know the key to good health begins with a dose of prevention—eat right, exercise regularly, and get a good night’s sleep. Your financial health is no different. I really liked your article a lot but i would like to throw some light on ways by which you can avoid credit card debt. By taking a few steps of prevention today, tomorrow your finances will have a clean bill of health freeing you to live a life of opportunity rather than of difficulty. Always keep up the right perspectives. Manage your finances properly so that there is no chaos later on. Setting up a budget is just the first step; sticking to it is the next, and often more difficult task. To help keep you on track set goals and put motivators in place. Always Shop for the Right Card. 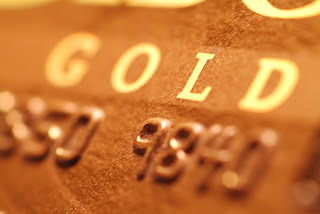 Remember to Pay the Balance in Full.This is important in keeping control of your credit cards. The best method for prevention is teaching our youngest generation all about money before they even qualify for a credit card.